True Fashionista Now > Uncategorized > Luxe Find Of The Day. 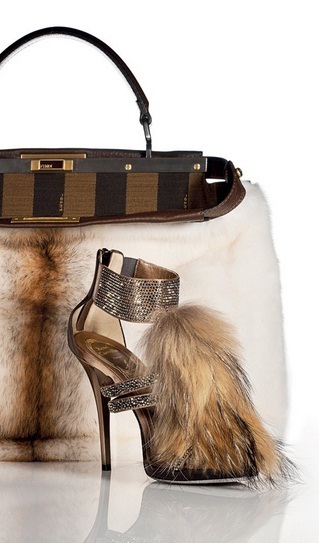 Fendi, mink and cotton peekaboo bag $11,590 and Rene Caovilla, Murmansky fur and Swarovski crystal sandals for $1410. Money’s no object here baby. Who loves it? MBNYFW: Raul Penaranda S/S12 Collection. Lakme Fashion Week 2012: Pankaj & Nidhi Ahuja W/F 2012 Collection. Happy Birthday Madonna: The Queen Of Pop & Fashion Too.